Brittle nails that constantly threaten to break are pesky, AND they ruin a good manicure. 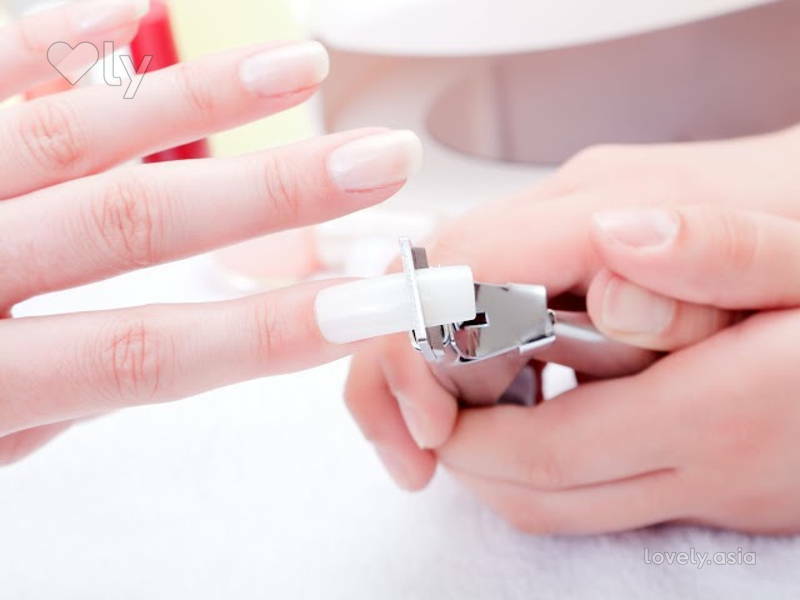 Here are easy ways to get stronger and healthier nails! Like most women on-the-go, we’ve had our fair share of chipped or broken nails (ouch). Not only do those hurt, but they also mean wasted manicures! Stronger nails not only mean that they don’t break as easily, they also look better with or without a manicure. Are you in search of ways to keep your nails healthy and beautiful? These ones are easy (and cheap) to do! This one really isn’t much of a secret but it’s definitely worth reiterating. Your nails are efficient indicators of your health, so drinking lots of water keeps you and your nails healthy. Water stored in your body helps hydrate your cuticles and strengthen your nails. More often than not, we’re guilty of mistreating our nails as we use it to scratch or peel open items. When doing so, you apply pressure to the weaker areas of your nail, causing it to break. Make a conscious effort to use actual tools like knives and scissors to open packaging instead. No more using your nails when you’re thirsty for cola! Shorter nails don’t break as easily. Keep them short and neat to prevent them from getting caught in between things, causing breakage. Longer nails are also older, which means that the tips tend to be weaker. When it comes to nail care, invest in a good cuticle oil or even make one at home using all natural ingredients to massage into your cuticles. Check out our nail care recipes here. Cuticle oil keeps your cuticles moisturised, preventing brittle nails. Another thing that most of us are are guilty of is peeling off nail polish. We know it’s tempting, but resist! Peeling thins your nails as you may peel a layer of your nail along with the polish, so use a nail polish remover instead. Avoid re-painting immediately after you remove your nail polish as your nails need time to breathe too. Are You Caring for Your Nails the Right Way?